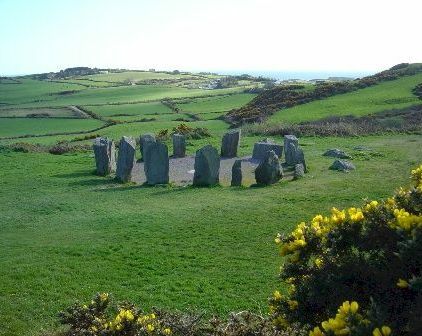 Drombeg Stone Circle, Cork: Ireland's history is liberally sprinkled across the island. Information about Ireland isn't hard to find. There's loads of it on the Internet. But much of it isn't particularly useful, entertaining or even up-to-date. 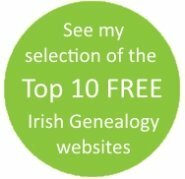 This area of Irish Genealogy Toolkit aims to provide current information about Ireland in a series of articles, factsheets and features that are geared as much to residents of the island as to those who are planning a visit (whether for genealogy research or pure tourism). You'll find first-hand experience and quality research bringing you essential advice for visitors, snippets of history, ideas for things to do in Ireland, and well-written features (some of which have previously appeared in print publications) to extend your knowledge about this beautiful Ireland. In short, these pages make up a miscellany of useful, quirky, nostalgic and 'interesting to know' information about Ireland, past and present. Bet you never thought of going whale-watching in Ireland! Join the sit-down comics on the Dublin Bus sightseeing tours. You'll want to know about Ireland's two money systems. Geology: Forget the Emerald Isle. The foundation's of Ireland's landscape is blue. A random 10 fun facts about Ireland, plus information about Ireland's movie credentials. Yet more interesting facts about Ireland, past and present. A false leg, a glass eye and a toupee are among the surprising items that have been left behind on Dublin's public transport system. Other strange items included wheelchairs, shark teeth, a box of crickets and even a live rabbit. Once upon a time it was umbrellas that accounted for the majority of entries in the Lost Property register. These days its mobile phones -- about 40 a week. But perhaps the most bizarre item to have been left behind was a gravestone!